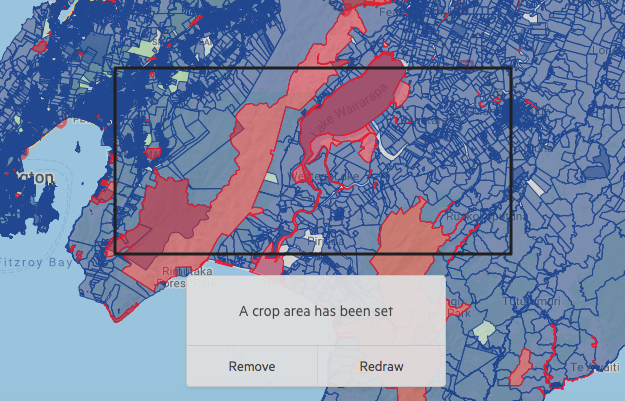 When you have one or more downloadable layers in your map, you will be able to use the box crop tool. This enables you to reduce the size of your added data layers, ensuring that you can download only the data you need. 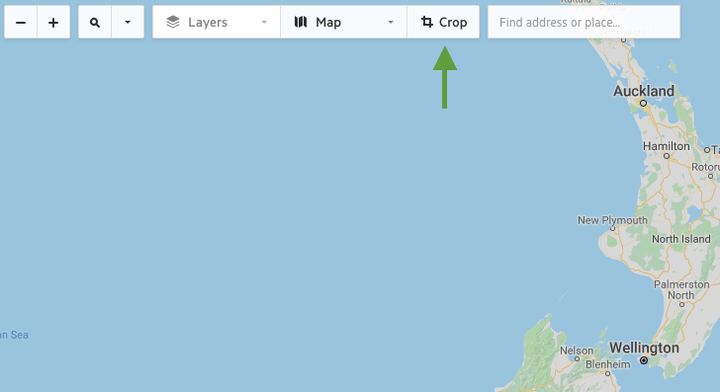 After adding your data to the map, select the crop button, on the left hand side of the map. Click and drag on the map to set your download area. This will crop the data in your collection to the extent contained within your selected area. To change the box crop, select Redraw Crop to restart the process. After cropping your data, your collection will update to show the new export size estimate and cost (if applicable) of your export. Vector lines and polygons are clipped to the requested extent, which means that all enclosed points are returned. Raster crops are converted to the projection of the export and expanded to the new bounding rectangular envelope. In other words: your exported data will be rectangular in the projection requested and will contain at least the data requested.